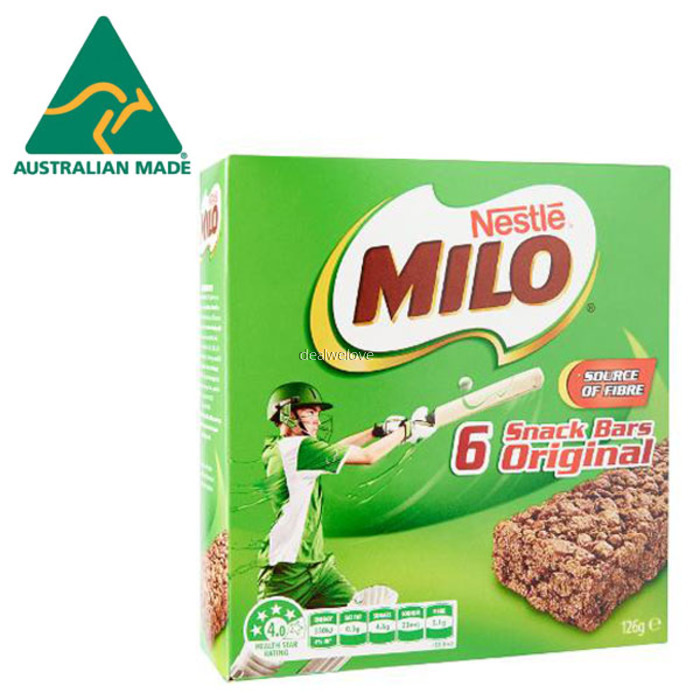 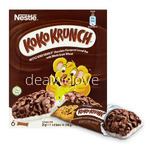 Made with wholesome MILO cereal pieces and fused together with nutritious MILO powder, MILO snack bars provide a source of fibre and contain no artificial colours or flavours. 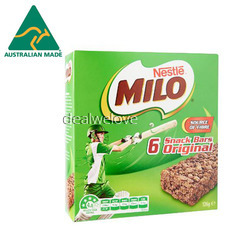 They’re perfect as a lunchbox snack to give your kids the energy to do what they love. 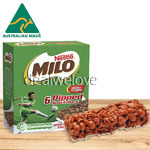 The unique combination of wholesome MILO®cereal pieces and nutritious MILO® powder, individually wrapped and ready to go. 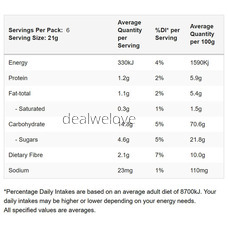 Wholegrain Wheat Flour (22%), Glucose Syrup [Preservative (Sulphites) ], Wheat Flour, Formulated Supplementary Food Base: (10%) [Extract of Malted Barley and Rice Or Wheat Or Barley , Milk Solids, Sugar, Cocoa, Minerals (Calcium, Iron), Maltodextrin (Corn), Vitamins (C, B3, A, B6, D, B2, B12), Emulsifier ( Soy Lecithin)], Invert Sugar, Modified Starch (1412) ( Wheat ), Maltodextrin ( Wheat ), Humectants (420, 422), Vegetable Oil ( Soy ), Malt Extract ( Barley) , Cocoa, Sugar, Flavour, Emulsifier (471), Salt, Antioxidant (307b). 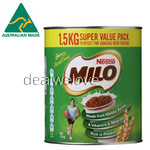 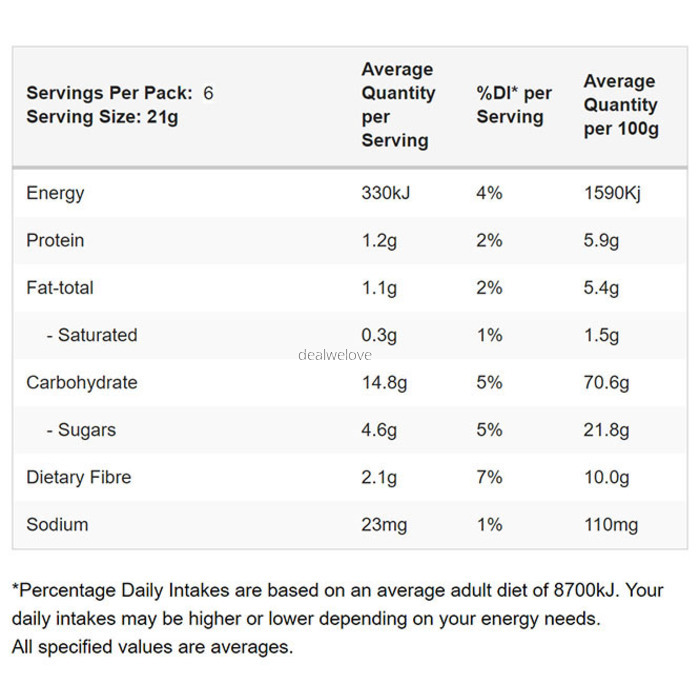 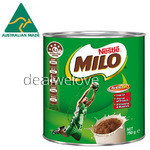 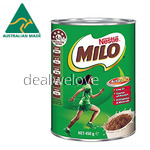 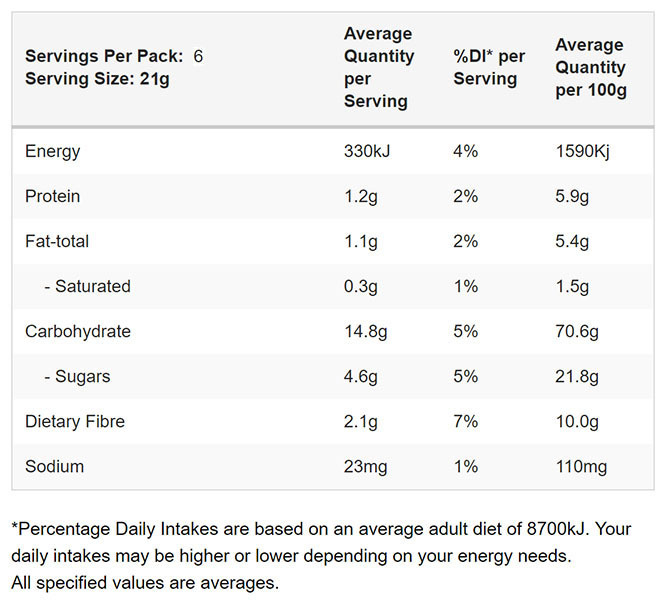 Contains 10% Milo Contains Wheat, Barley, Milk, Sulphites and Soy May Contain Tree Nuts and Other Gluten Containing Cereals. 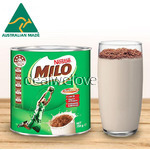 ​​*the above information is extracted from Milo's website.